Rustic Fence, Inc. offers you a complete range of fence sales and installation services and because we have such a wide variety of options, we’ll definitely be able to meet your needs and deliver the satisfaction that you’re looking for. We have both the technical expertise as well as the experience to know how to handle all jobs, big or small. Serving the counties of Howard, Montgomery, Frederick, Carroll and Baltimore for over 40 years, we guarantee you’ll be 100% satisfied with our services. We offer a variety of fencing styles to complement your home and business. 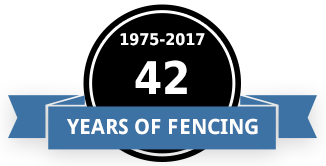 Please visit our photo gallery to see examples of our fences and contact us today for a free estimate. Rustic Fence, Inc. offers full service residential installation solutions and can help you with your next home based fencing project. Visit our Residential Fence Services page for details. We offer full service commercial and industrial installation solutions for your business or organization and have the experience required to get the job done in a timely and orderly manner. Visit our Commercial Fence Services page for details. When it comes to sports, Rustic Fence, Inc. has you covered. We have experience installing backstops, fences, nets, and other miscellaneous sports related enclosures for both private owners as well as municipalities. Visit our Athletic Facilities, Fields and Sport Fences page for details. We can build a fence for your farm, ranch or garden that will both fit your needs and give you that “rural” feeling. From electric fences to pasture fencing to post and rail, we have the experience to get the job done right. Visit our Farm and Ranch Fence page for more information. 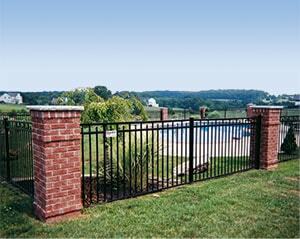 Rustic Fence, Inc. offers the purchase of fencing materials. We specialize in split rail fencing and keep a large quantity in stock. Check with us on availability for other fencing materials. Rustic Fence, Inc. offers snow plowing to our local areas and as a convenience to our fencing customers. Our Customers are the Best Recommendation!